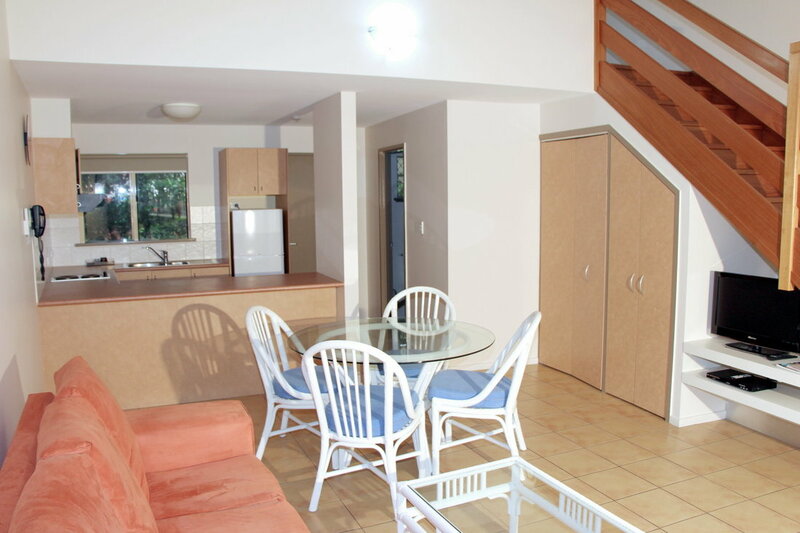 All apartments are very spacious and airconditioned with a genuine 4 star rating. 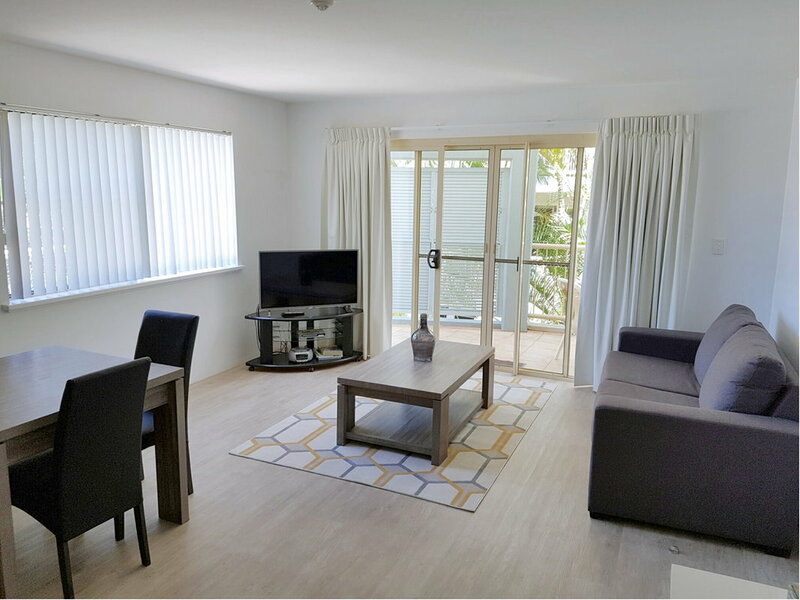 They are fully self contained with separate lounge/ dining area, full kitchen, spacious bedroom and bathroom, internal laundry and security parking space. Choose from garden outlook, partial sea-view or panoramic seaview with spa bath on the balcony. The buildings are a 2 storey walk up design and are terraced into the hillside providing outstanding views over the village and ocean for those in the top floor locations. There are a limited number of apartments with level access and suitable for people with limited mobility. There is a studio resort room without kitchen facilities similar to a hotel room. 1 and 2 BEDROOM APARTMENTS AVAILABLE with LEVEL ACCESS. Ideal for those with limited mobility we do have a limited number of apartments with level access and a few of the 2 Bedroom have assistance rails in the main bathroom around the WC and shower enclosure. ​Best to phone during office hours to check on availability. 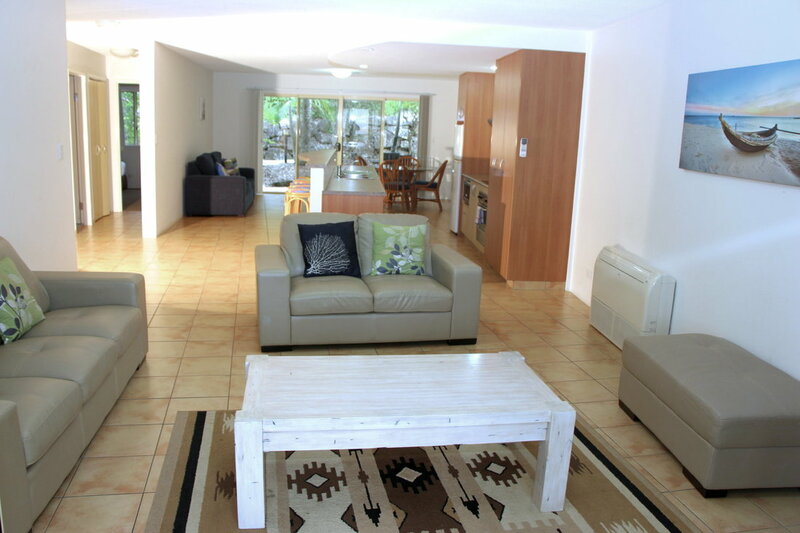 These very spacious self catering apartments have every need covered for the perfect holiday break. 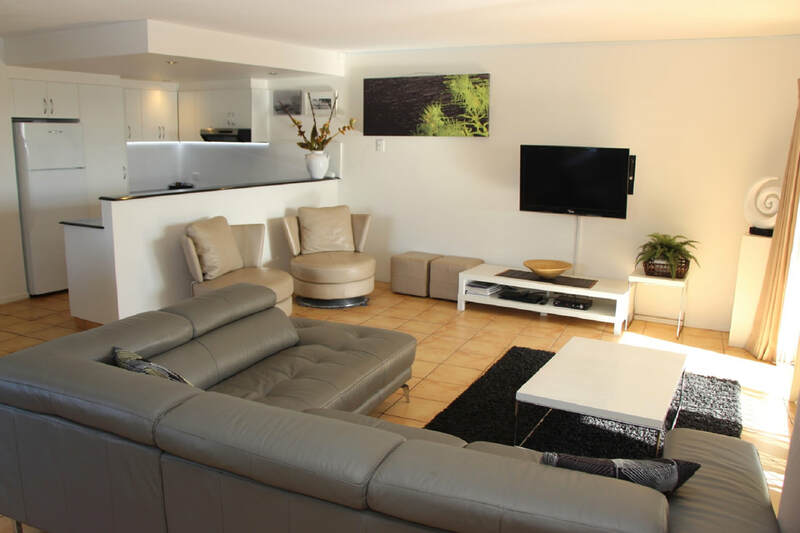 They have a well equipped kitchen, a comfortable lounge dining area, separate master bedroom with queen ensemble, a lovely bathroom, internal laundry and security parking. In a garden setting the rear balcony has an outdoor dining table and your very own spa bath where you can pamper yourself in luxury. For that special holiday for two, the Seaview Spa apartments are a must. Imagine a spa bath on the balcony, a bottle of bubbly and watching the waves roll around Lennox Point. One configuration has the spa bath in the bathroom which may suit some guests better. ​Full kitchen, lounge dining, additional balcony dining setting, panoramic views as well as internal laundry and secured basement parking. Celebrate in style! Very spacious, beautifully appointed two-bedroom apartments featuring generous balconies with views overlooking the resort and gardens, some with a rural outlook and others overlooking the magnificent pool complex. 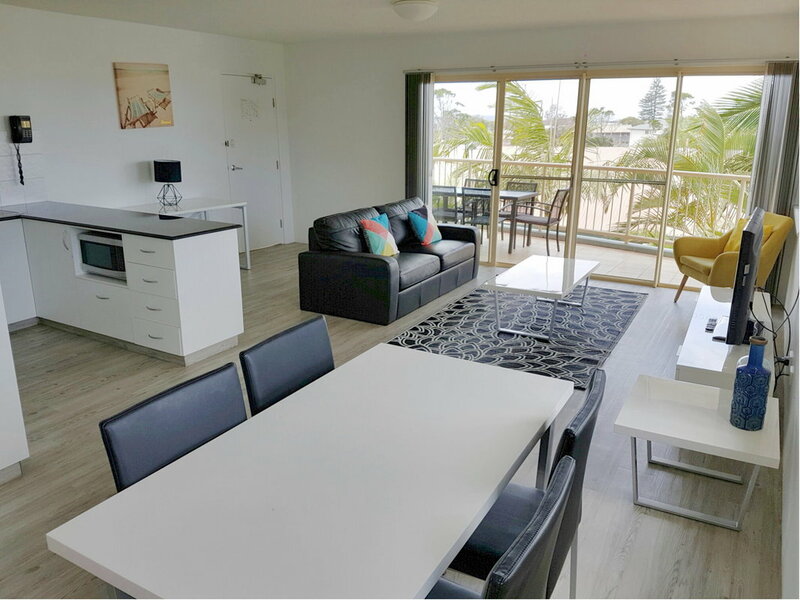 The Oceanic apartments have the bedrooms at either end of the apartment, and with two bathrooms are ideal for two couples to share. The Sea-breeze apartments get pool complex views and Ocean glimpses. All of these 2 bedroom / 2 bathroom apartments have enormous balconies with additional outdoor dining tables. They have large well equipped kitchens including a dishwasher, spacious lounge dining area, internal laundry and security basement car parking. Spectacular Ocean View 2 Bedroom 2 Bathroom apartment. Quality fully self contained family apartment with full kitchen, large lounge-dining area, fabulous NE facing balcony with additional dining setting and spa bath and panoramic views overlooking the resort, village and ocean plus double security car space and internal laundry. Luxurious 3 bedroom 2 bathroom apartment. 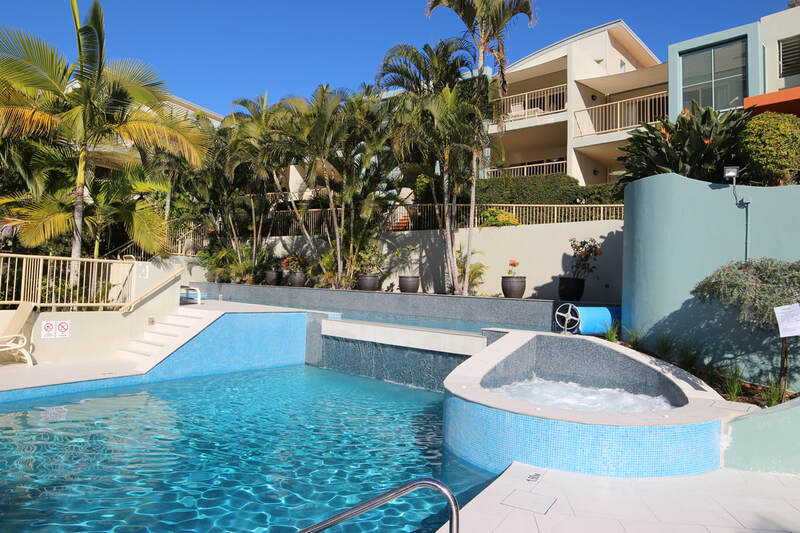 Perfect for a group or family stay these extra spacious apartments have a fully equipped kitchen with dishwasher, a large lounge dining area and fabulous sunny balcony with a 2nd dining setting and views across the beautiful resort pool complex. Bedroom configuration is either a queen ensemble in the master bedroom and 2 x single beds in each of the other bedrooms or King size in BR1, Queen size in BR2 and 2 singles in BR3. They have 2 security parking spaces in the basement and an internal laundry. The 3 Bedroom Sea-view spa provides sensational family accommodation in a very spacious apartment with fully equipped kitchen, large lounge dining area, internal laundry, 2 security car spaces and a huge balcony with outdoor dining setting and your very own spa bath from which you can enjoy the ocean views in decadent luxury. The bedroom configuration is either a Queen ensemble in the master bedroom and 2 single beds in each of the other 2 bedrooms or King size in BR1, Queen size in BR2 and 2 singles in BR3.